Once you decide to go with Marketplace Sellers to grow your Amazon sales, we’ll get started with our comprehensive onboarding process. We do our homework so you don’t have to. Onboarding with Marketplace Sellers is easy and stress free! We do almost all of the work but you’ll always have a direct line to your contact at Marketplace Sellers to help along the way should you have any questions. It’s a long journey growing your Amazon sales, but it’ll be a blast. How do I get started with Marketplace Sellers? We’ll discuss your Amazon goals, products, brand and pricing. Want to sell solid-gold trampolines? Want to market mice to snakes? We can help! As soon as we have all your info, we’ll get to work. We’ll research your product opportunities and the competitive landscape to see how your product can perform best. We’ll then develop a marketing strategy along with pay-per-click advertising and promotions to get the ball rolling on your listings. Ready to launch products! We’ll provide you with an easy form to fill out with all the necessary product details. Give it to us and we’ll take it up to our workshop and upload it to Amazon. If you already have a product catalog online, export the products you’d like us to upload and we’ll take it from there. After your products go live, we’ll monitor inventory levels and give you quantities and products to pick, pack, and ship to Amazon based on our in-house tools that assist with demand forecasting and sales velocity (don’t worry, we know this part is the most difficult, but we’ll walk you through every step of the way). You’ve just sold one of your products to a happy customer! What now? Amazon is constantly changing, making new rules and adjustments, and adding and removing features in addition to implementing frustrating obstacles like chargebacks, fees, and otherwise surprise or hidden costs. 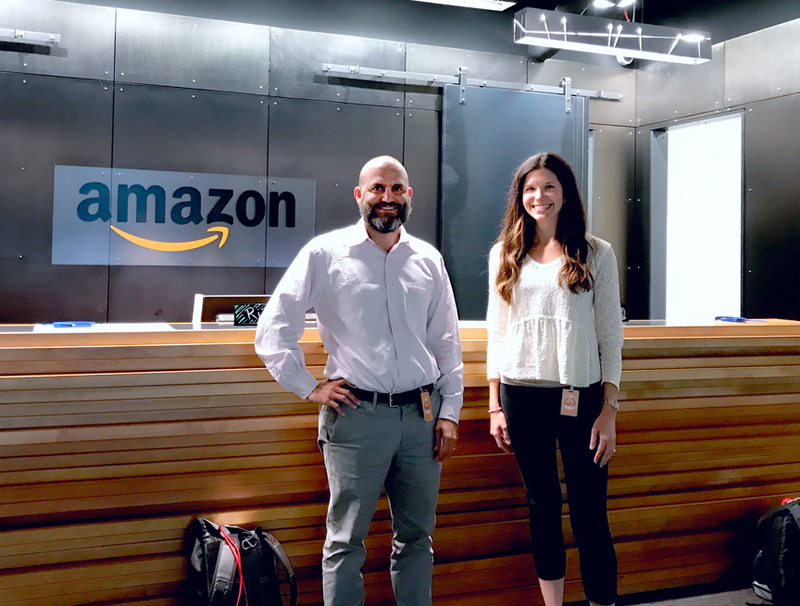 Our team is dedicated to staying on top of the latest Amazon retail news and keeping tabs on our account and Vendor Managers at Amazon about any urgent changes. We’re dedicated Amazon experts! What if I want to try selling on Amazon on my own? Go for it! But keep in mind that it’s critical to know how to set up and maintain products and accounts correctly from the get-go, Amazon can be a dangerous place with a ‘learn as I go’ mentality. It’s not quite as easy as a product title, picture, and description. Amazon has a HUGE checklist of necessary information that is needed with every single product and some of this information cannot be changed after product creation so we want to make sure your listings are built using best practices for peak performance from the beginning. Luckily we’ve created tens of thousands of products ​on Amazon, so experience and results are our claims to fame.